A study done back in 2015 revealed that about 10 percent of Americans vape on a regular basis. But not everyone who vapes does it the same way. There are some people who use vape juices that contain nicotine when they vape. A lot of these people do it because they’re trying to wean themselves off of using tobacco products that contain nicotine. There are also many others who use vape juices that don’t have any nicotine in them at all. They don’t need nicotine to enjoy themselves while vaping. 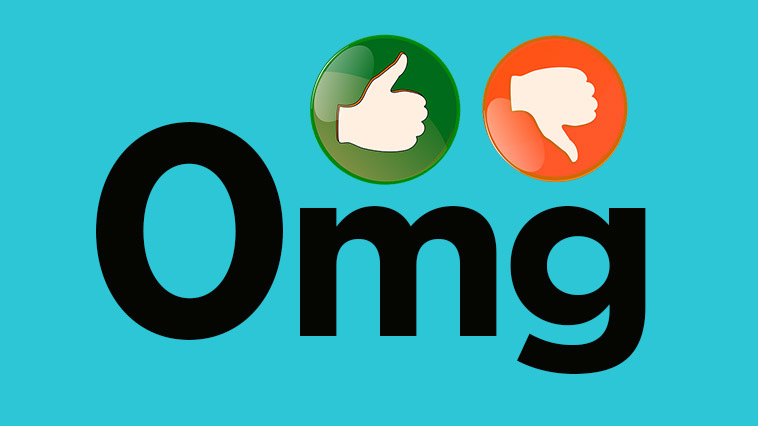 There are several pros and cons that come along with vaping without nicotine. Let’s take a look at them to see if it would be right for you. If you’ve never used nicotine before and you’re just getting into vaping for the first time, it’s a good idea to do it without using e-juices that contain nicotine. While some studies have shown that there are benefits to using nicotine, nicotine is also known to be an addictive substance. This means that once you start vaping with nicotine, you will likely find that your body will need nicotine on a daily basis. You don’t want to start using nicotine if you don’t have to. You can enjoy all of the fun that comes along with vaping without using nicotine. Just make sure you look for non-nicotine vape juice when you’re purchasing your vaping products. If you have smoked cigarettes or used other tobacco products in the past, vaping can be a good way to cut back on your nicotine use. Vape juice comes loaded with different levels of nicotine in them. You can gradually wean yourself off nicotine by decreasing the levels in your e-juices over time. However, if you try to quit smoking or using tobacco products by vaping without nicotine, you will usually find that your body will crave nicotine. It’s part of the reason why so many people who vape also continue to use tobacco products. If your goal is to quit using tobacco products altogether, it’s usually a good idea to use e-juices with at least a little nicotine in them at the beginning. It’s better to do that and bring your levels down over time instead of essentially going cold turkey and then turning back to tobacco products later. One of the best parts about vaping is trying out all of the different e-juice flavors that are available out there. There are literally hundreds, if not thousands, on the market for you to try. You can experiment better with the many flavors by opting to vape without nicotine. While nicotine doesn’t really play a big role in the flavor of e-juices, true “flavor chasers” as they’re called in the vape community can enjoy the taste of e-juices with or without nicotine. If the flavor is what you’re after, you should steer clear of using nicotine and just focus on the flavor instead. It will prevent you from getting addicted to the nicotine in certain e-juices. When you use e-juices with nicotine in them, you will usually only have to take a few drags every so often to get your nicotine fix. It will cut down on how often you use your e-cigarette. But when vaping without nicotine, you won’t be chasing a nicotine fix. Instead, you’ll simply be puffing away on your e-cigarette without a care in the world. In the video below Big J breaks down Nicotine Levels in vape and how the make a difference. Since you won’t have nicotine to tell you when it’s time to stop, you can very easily get into the habit of vaping more than you intend to at times. This can become very costly when you consider how much e-juice you’ll have to buy. There are also some concerns about how e-cigarettes and e-juices will affect the long-term health of people. This does not mean you should start vaping with nicotine just to limit how often you vape. But it does mean you should be mindful of how often you’re vaping if you’re not using nicotine. There are many people who enjoy doing tricks when they vape. 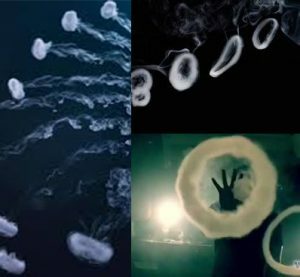 They blow big O-rings and do other incredible things with the vapor created by their vape pens and e-cigarettes. In order to do tricks, you usually need to spend quite a bit of time practicing. It can be difficult to practice when you’re vaping with nicotine. The nicotine can eventually become too much to take and force you to take a break. If your goal is to learn how to do every vape trick in the book, it’s best to do it as you vape without nicotine. “Throat hit” is one of the terms you’ll learn when you start vaping regularly. It refers to the feeling you get at the back of your throat when you take a pull from an e-cigarette. 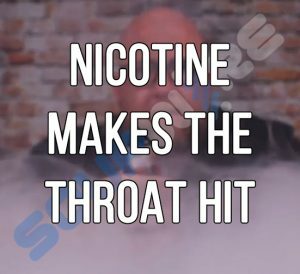 If you’re used to the throat hit that comes along with taking a drag from a cigarette, you might not be satisfied with the throat hit you get when you vape without nicotine. These throat hits can be underwhelming. There are some non nicotine vapes that will still deliver throat hits. But you’ll need to try out a bunch of them to see which deliver the throat hit you’re in search of. The lack of a throat hit could send you back to using tobacco products if you’re not careful. There are many people who are skeptical about vaping without nicotine. They aren’t sure if it’s the right move for them to make with regards to their health. The truth is that there are still many studies being done on the safety of vaping as a whole. But for now, it doesn’t appear as though vaping without nicotine is significantly better or worse than vaping with it. The good thing is that you won’t have to worry about dealing with nicotine addiction when you vape without nicotine. But you should continue to monitor the news to see what others pros and cons of vaping without nicotine come out. 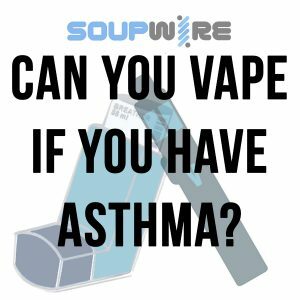 You’ve seen “Teen diagnosed with wet lung from vaping” but do you understand what it means? An 18-year-old Pennsylvania teen was recently diagnosed with wet lung after suffering an allergic reaction while vaping. 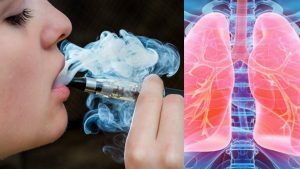 Many national media outlets immediately pointed to effects of vaping as the primary cause of her affliction, instead of focusing on the personal health issues of the patient – which were the actual culprits. The unnamed woman was a beginning vaper, having engaged in the activity for about three weeks. A case study released last Thursday by Pediatrics, a medical publication, said e-liquid caused allergic symptoms so bad the woman was admitted to the University of Pittsburgh Medical Center’s emergency room. While being examined, the woman — who had a history of asthma — suffered from a cough and had a hard time catching her breathe. She also described a throbbing pain in her chest, according to a CNN report. As her coughing progressed, she was immediately admitted to the hospital’s pediatric intensive care unit. Treated with antibiotics, the woman’s condition quickly grew dire, CNN reported. In a short time, the woman experienced respiratory failure, Dr. Daniel Weiner, one of the woman’s attending physicians and an author of the report, told CNN. The doctors fitted the woman with a breathing machine and inserted tubes to drain her lungs. “She was unable to get enough oxygen into her blood from her lungs and required a mechanical ventilator (respirator) to breathe for her until her lungs recovered,” Weiner was quoted as saying. The patient developed wet lung (hypersensitivity pneumonitis), an allergic response to chemicals or dust, according to CNN. As lead author of the case study, Dr. Casey Sommerfield indicated an allergic reaction while vaping caused her lung problems, which lead to an immune reaction by her body. That reaction caused the medical drama. “This immune response can lead to increased inflammation and ‘leaky’ blood vessels, which can lead to fluid accumulation in the lungs,” said Sommerfeld, who currently serves as a general pediatrician at Atlanta’s Children’s Healthcare. 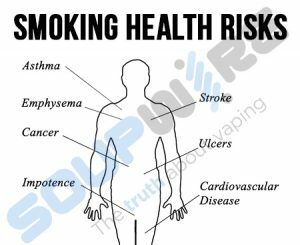 Further Reading: Is Vaping healthier than Smoking? According to the Center for Disease Control, smoking kills almost 500,000 Americans every year. That means 1 in every 5 deaths is due to smoking. Almost 40 million Americans smoke cigarettes. That’s a pretty high risk for a lot of people. 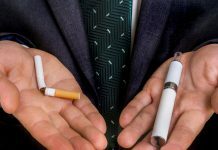 Unless you’ve been under a rock in the past several years, you’ve probably heard about and even seen people vaping e-cigarettes. Some people think it’s a healthier option than smoking, but other people think it’s just a new way to kill yourself. So what’s the truth? 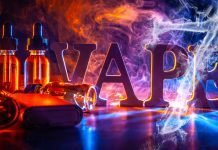 This article will highlight the differences in vaping vs smoking, and help you know which is better for you those you love. Since smoking has been around a lot longer than vaping, there is a lot more research on the health hazards of smoking. Vaping is supposed to be a healthier alternative, so let’s look at the facts. Smoking releases chemicals called carcinogens into your lungs. Carcinogen is a fancy term for hundreds of chemicals that have been shown to cause cancer, heart disease, and lung disease with long-term exposure. The reason these chemicals are released is not from the cigarette itself, but from the burning tobacco in the cigarette. Some of these you may know by name, and may be surprised by. It’s hard to imagine that smoking is putting arsenic, lead, and ammonia in your lungs, but that’s what’s happening. The main difference in vaping vs. smoking is that vaping is in a vapor form and not a smoke produced from burning tobacco. This means that the dangerous carcinogens are not in vapor liquids. Most of the other chemicals in vapor are to give it a specific flavor. The flavors added to vapor are safe when ingested, but there is no research right now to show the effects of breathing them in. Since they’re safe to eat, we can guess that they’re safe to vape, but we don’t have enough research yet to know definitively. 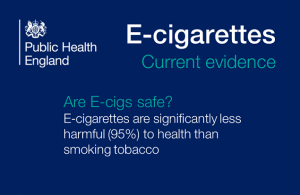 We do know that this study from Public Health England posits that vaping is 95% less dangerous than smoking traditional tobacco cigarettes. You should also notice that both cigarettes and e-cigarettes contain nicotine. 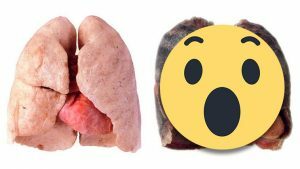 This is the addictive part of smoking. If you are a smoker or a vaper, you will be inhaling nicotine and may become addicted to and dependent on it. When we think about smoking, we tend to focus on the health problems and risks. There are also other physical risks involved though. 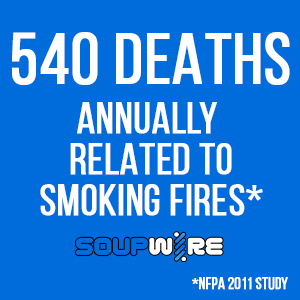 In 2011, one study found that there were 90,000 smoking-related fires in the U.S. These fires killed about 540 people and injured another 1,640. That’s a pretty major safety concern! Vaping doesn’t involve matches or lighters, so the risk of fires is next to nothing. However, there is one big safety concern with vaping: exploding batteries. There isn’t a lot of research about battery problems and vaping because they’ve only been in use for a little while. What we do know though is that since 2007, there have been about 243 e-cigarette explosions. As of 2015, none of these explosions had caused death or injuries. The causes of battery explosions are mostly from overcharging and low-quality batteries. Some of these accidents happened when batteries were not stored or transported in the right way. A future concern though is that batteries are being made larger to hold a charge for longer. Bigger batteries that are low-quality could lead to more dangerous explosions. 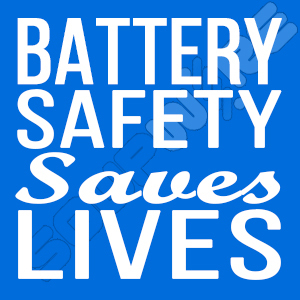 As batteries are more regulated, the quality will go up and the risk of accidents will go down. And as more people are educated on how to safely charge, store, and transport there vaping equipment, there will be fewer accidents. One of the biggest arguments against smoking over the years has been the high cost. Cigarettes can be expensive! But is vaping really any cheaper? The average smoker uses about five cigarettes a day. A pack of cigarettes in New York (yes, a more expensive state) is about $13. Most smokers will buy about 5 packs a week, which totals to $65. This adds up to $3120 a year! 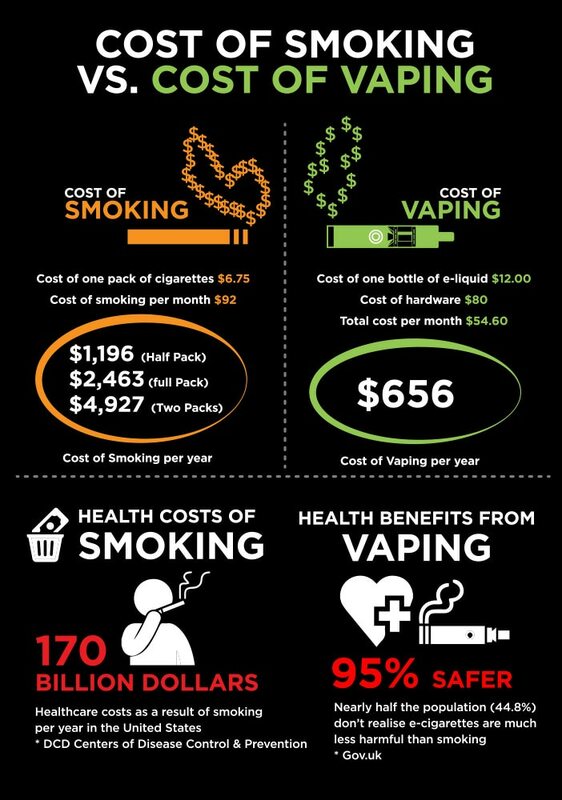 The initial cost of vaping is much higher than a pack of cigarettes. A starter kit costs around $50, which is why many people think vaping is more expensive. However, your vape juice costs about $15 a week, which adds up to $720 per year. If we add a kit cost for every year, that’s still only $770 per year compared to $3120! Which would you rather pay? Over the past couple of decades, smoking has become more and more stigmatized. It’s seen as unhealthy, dirty, and sometimes even trashy. Smoking is being banned in public areas and even in bars in some places. E-cigarettes, however, are still legal in most locations. Vaping can be a legal, unstigmatized way to get your nicotine wherever you are. One study shows that vaping is a lot healthier than smoking too. This British study found that e-cigarettes are 95% more healthy than smoking. The American Heart Association also said in 2014, that vaping is much better for a person’s heart than smoking. This is mainly due to the reduced number of carcinogens that e-cigarettes release into the body. Finally, e-cigarettes can be a great way to smoke less. If you’re addicted to nicotine and want a way to wean yourself off, vaping could help. Since you control how much nicotine you use, you can decrease the amount slowly over time, until you’re using almost no nicotine or have stopped completely. Quitting is impossible for many people, and vaping provides a hope of ending addiction. Now that you know the benefits of vaping vs smoking, it’s time to look at some potential products. You can find some awesome deals right here! Previous articleWhat’s the Shelf-Life of my E-Liquid? Next articleIs Vaping’s Newest Marketing Ploy Ethical?